C-Arizona The Pac-12 Player of the Year made subtle improvements to his frame over the last year and a half while increasing his level of quickness and rise off the floor. A solid free throw shooter with an adequate face-up jumper, Ayton’s back to the basket game is an added bonus. Sacramento Kings Marvin Bagley III 6’11 234 PF-Duke If he can continue to expand his range, his offensive game may expand to new heights. He’s already a scrappy rebounder with quick hops. Bagley III will get to the free throw line but he has to improve when he gets there (62%). He set an ACC freshman record with 22 double-doubles. G-Real Madrid Although he’s just 19 years old, Doncic averaged 16 PPG, 4.8 RPG and 4.3 APG for Real Madrid on his way to EuroLeague MVP honors in 2017-18. He will look to become just the second lottery international selection to make an All-Star team. PF-Michigan State The Big Ten Freshman of the Year’s NBA bloodlines mesh with major shot blocking ability. The conference’s Defensive Player of the Year shot over 40-percent from three-point range and led the Big Ten with three blocked shots per game. His ability to defend makes him an attractive option for a team that won just 22 games in 2017-18. PG-Oklahoma The Big 12 Freshman of the Year has range that extends from Oklahoma all the way to the Dirty South. Though he was not ranked as a consensus Top 20 player in the Class of 2017, he ended up leading the nation in scoring (27.4 PPG) and assists (8.7 APG). Draftnasty's Troy Jefferson predicted Doncic as an option. C-Texas The former Westtown HS (N.Y.) has gotten plenty of attention for his length, but he is an underrated rebounder with an expanding offensive skill-set. The second-team All-Big 12 selection has wiry strength and a high basketball IQ. He finished second in the nation with 3.7 blocks shots per game. PF-Duke The Bulls hit home with All-Rookie selection Lauri Markkanen a year ago and this year went after a player who scored in double figures in 30 contests in 2017-18. The second-team All-ACC performer has an array of moves around the basket and an instinctive rebounder (9.1). 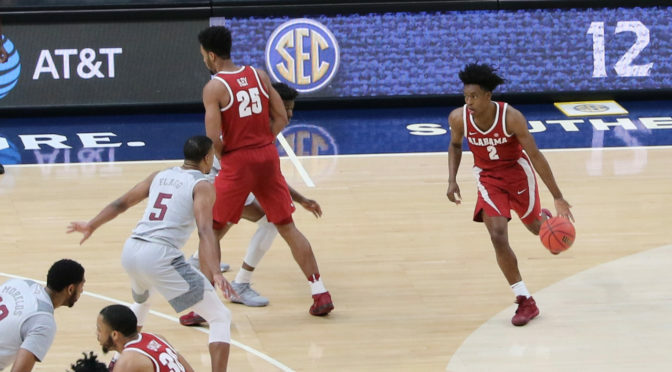 PG-Alabama The Cavaliers immediately increased its team speed with the selection of Sexton. He maintained a 4.0 GPA in school during his lone season on campus and had a knack for the big moment. SF-Kentucky Knox’s toughness and natural scoring ability will provide a solid complement to Kristpas Porzingas. The first pick of the David Fizdale-era is solid in all facets of his game. SF-Villanova The first of the four Wildcats expected to be drafted, Brigdes actually redshirted initially at Villanova. The 76ers needed another shooter with the possible departures of either J.J. Redick or Marco Belinelli, but instead acquired the rights to the Phoenix Suns 16th overall pick, Zhaire Smith. DraftNasty’s Troy Jefferson predicted Smith could end up with the 76ers. PG-Kentucky The 2017-18 second-team All-SEC selection recorded the third most assists for a freshman in the history of Kentucky basketball. Blessed with the ability to defend three-to-four positions, he will increase the flexibility for Doc Rivers’ defensive unit. He shot 81.7-percent from the free throw line as a freshman. State Despite being 6-foot-6, he still averaged seven rebounds per game in 2017-18. Why? He has a strong, burly frame. The former Big Ten Freshman of the Year is a true high riser. SF-Missouri Porter, Jr. snuck into the final lottery selection and provides the wing depth that the Nuggets desperately need. Despite playing just three games for Missouri in 2017-18 due to back surgery, the former Gatorade Player of the Year has immense upside. SF-Oregon The Wizards are still in need of athletic big men, but they also needed someone who could matchup with opposing guards and forwards defensively. To that end, Brown fits the bill. His versatility included guard duties at the prep level. G-F/Texas Tech After securing Ayton with the first overall pick, the Suns turned their attention to another guard for depth with the possible departure of free agent Elfrid Payton. This pick was made for the 76ers in a trade that sent their 10th overall pick to the Suns in exchange for Smith’s rights. Smith’s outstanding leaping ability (41 ½” VJ) and floor speed will add an explosive element to the 76ers backcourt. Bridges expands the Suns’ defensive versatility. SG-Villanova The Bucks needed more scorers on the perimeter after finishing 13th in the NBA playoffs in three-pointers. DiVincenzo opened even more eyes at the NBA Combine after earning Most Outstanding Player honors in the 2018 NCAA Final Four. The Big East’s Six Man of the Year shot 40% from three-point range this past season. SG-Miami (Fla.) Athletic shooting guards/wings were a possibility for the Spurs with the unenviable Kawhi Leonard situation. The team opted for a player who can play the two-guard or wing in Walker IV. He has to stay healthy and become more productive with the ball in his hands. His play strength is undeniable. SG-Maryland Huerter led the Terrapins with 73 three-pointers in 2017-18. The shooting guard spot was a position the Hawks needed to target to go along with Kent Bazemore. Minnesota Timberwolves Josh Okogie 6’4 ½ 210 SG-Georgia Tech The third-team All-ACC selection is a high-riser who averaged over 18 points per game for the Yellow Jackets. With Jerome Robinson off the board, Okogie was one of the better shooting guards still available for the Timberwolves. SG-Duke The former Blue Devil fills a need for the team despite being somewhat of a surprise in this slot. He nearly put up 2,000 points in his career (1,996), but there are some questions about his ability to defend consistently. There are, however, few questions surrounding his competitiveness and athleticism. SG-Boise State We felt the MWC Player of the Year could have been a possibility for the Spurs, but we also felt that the Bulls needed a guard with both Zach LaVine and David Nwaba currently free agents. Will Hutchison continue to expand his range? PG-UCLA Blessed with NBA bloodlines (Brother, Jrue, plays for the New Orleans Pelicans and another brother, Justin, plays for the Chicago Bulls), this Holiday rarely took any days off for the Bruins. He led the Pac-12 in scoring in 2017-18 (20.3 PPG). The Pacers simply took the best player available at this stage of the draft. SG-United States With Shabazz Napier and Pat Connaughton both free agents, guard depth was important for the Trail Blazers. The former IMG Academy standout moves well without the basketball and finishes in transition. PF-Michigan There are few questions regarding Wagner’s ability to stretch the floor as a shooter. The former Wolverine has good vision, works as a rebounder and possesses above average ability to execute in pick-and-pop situations. PG-Wichita State We talked about Shamet’s ability to extend the defense in our Detroit Pistons team needs. Shamet, a combo-type, is insurance if the team loses either Redick or Belinelli in free agency. C-Texas A&M Williams III is one of the better shot blockers in the draft and he led the SEC in rebounding. The team will look for him to be a rim-runner and lob specialist. It was a bit of a surprise he lasted until the end of the first round. SG-Cincinnati The first-team All-AAC performer is a stout defender and underrated passer. The Warriors continue to add players who can guard multiple positions. Herzegovina Whether or not the team gets Charlotte C Dwight Howard in its proposed trade is still up for discussion. In the meantime, they needed a player capable of handling defensive responsibilities next to either Howard or Timofey Mozgov. Musa may not be a fit for those duties, but he averaged 12.4 PPG and was named the All-Adriatic League’s top prospect of the year. PF-Villanova While Spellman averaged just under 11 points per game for the Wildcats, he did shoot 43-percent from three-point range. Aside from his ability to shoot, he has enough bulk to compete as an offensive rebounder. PG-France The Suns didn’t get their backup guard early but they do get a player who has some similarities to the aforementioned Payton (a free agent). He has more shooting ability at this same stage of his development. PG-West Virginia Carter’s development as a scorer complements what may be the best defensive skill-set in the draft. He was twice named the Big 12 Defensive Player of the Year and became just the fifth player in Division I history with 1,500 points, 500 rebounds, 500 assists and 300 steals. PG-Villanova Although he shot 41-percent from three-point range in 2017-18, some of Brunson’s best work came on the low block. His foot speed is a question mark. PG-Kansas Graham has the ability to go either right or left off the dribble to get separation for his pull-up jumpers. The Hawks continue to add playmakers to compete in the backcourt. SF-Tulane The AAC’s Most Improved Player led the conference in steals (2.2 per gm). He put together an outstanding NBA Combine performance. PF-United States One of the nation’s top recruits in 2017, Robinson never played college basketball and elected to train for the draft. SG-Duke During the NBA Combine, Trent, Jr. excelled shooting from the top of the key and posted a 39 ½” max VJ. He was one of the Blue Devils most consistent shooters in 2017-18. SG-Creighton Known for his defense, Thomas’ 6’10 ½” wingspan gives him plenty of flexibility when it comes to guarding multiple positions. He’s capable of winning of finishing in transition or off the catch-and-shoot on the wings. SF-Germany Although this pick may not provide immediate dividends, Bonga,has good flexibility and impressive court vision. F-Lativa Kurucs, a member of the 2017-18 Latvian National Team, averaged just over 10 points and nearly 3 RPG for FC Barcelona in 2017-18. He has a game that translates to the type of stretch-fours seen in the NBA today. He will need to work on getting his shot off quicker. SF-Kentucky If not for a left foot injury, Vanderbilt –one of the top players in the Class of 2017- may have made a bigger impact for the Wildcats in 2017-18. Where he did flash was as a rebounder. He averaged 7.9 rebounds per game in 14 games for the team. SG-Miami (Fla) Yet another prospect affected by a foot injury in 2017-18, Brown was probably more impactful as a shooter during his freshman season. SF-Maryland Jackson was a possible target for the Houston Rockets in our Southwest Division Team Needs. The 6-foot-7 Jackson shot 43-percent from three-point range and contains a 7-foot-2-inch wingspan. He eventually ended up getting traded to the Orlando Magic for the draft rights to Jarred Vanderbilt. PG-Ukraine He’s dealt with minor injuries, but the 2018 Slovenian League Champion logged added minutes for the Petrol Olimpija team of the Premier A SKL league. SG-USC During his lone season of action at USC (2016-17), he averaged 1.9 steals per game. Despite shooting 71% from the stripe, he connected on just 28.4% of his three-point shots. SG-Kansas Mykhailiuk shot 44.4% from three-point range for the Jayhawks in 2017-18 while averaging 14.6 points per game. The former Jayhawk has elite shooting abilities that Draftnasty's Troy Jefferson took notice of. SF-Ohio State Bates-Diop earned second-team All-American honors and was named the Big Ten Player of the Year. Bates-Diop improved his scoring average by nearly 10 points from 2016-17. PF-USC Metu has improved as a free throw shooter since he first arrived on campus. DraftNasty’s Jefferson felt Metu would be a fit for the Pelicans, but he’s going to a team in the division who can use his athleticism and length. PF-Missouri State Johnson doesn’t have noteworthy length (6’8 ¾” wingspan) for his 217-pound frame, but he averaged a double-double (points, rebounds) in back-to-back seasons for the Bears. SG-Penn State The first-team All-Big Ten selection finished the season with four games of 30-plus points and shot 43.3% from three-point range. Carr’s 8’4” standing reach makes him bigger than his size would indicate. He led the Nittany Lions to the 2018 NIT title. SF-Purdue A solid spot-up shooter, Edwards improved his scoring average in each of his four years on campus. An effiicent free throw shooter (82% career), he is also effective beyond the arc. SG-Virginia Hall is by no means a high-riser, but he was satisfactory in non-stationary shooting drills at the 2018 NBA Combine. He was an 89% free throw shooter in 2017-18. SG-SMU In just over 36 minutes per game in 2017-18, Milton averaged 18 points per game. The 6’5 ½” Milton has nearly a 7-foot-1-inch wingspan and 8’3 ½” standing reach. PF-Louisville DraftNasty’s Jefferson projected that Spalding’s 7’6” wingspan would be a fit for the Portland Trail Blazers. Instead, the 76ers get a prospect that averaged 8.7 rebounds and 1.7 blocks for the Cardinals in 2017-18. SF/PF-UT-Arlington Hervey is yet another player that the Thunder project can improve as a shooter. He’s an underrated rebounder who Jefferson projected would be a possible target for another team in the Northwest Division (Denver Nuggets) as a small forward-type projection. C-UCLA Welsh, a career 80-percent free throw shooter, shot 40-percent from the three-point line as a senior while averaged 10.8 rebounds per game. SF-Colorado The second-team All-Pac-12 selection nearly hit 200 three-pointers in college (181) and perhaps more impressively 5.4 rebounds per game (career). SF-Dayton The younger brother of the Greek Freak in Milwaukee didn’t log many minutes for Dayton, but he did aveaged over a block per game. He’s still not a shooter (51.6% free throws), but he contains a 7’2 ¼” wingspan and 9’2” standing reach.